PLOT: A religious nutjob has just accepted the latest confused member into his isolated cult. However, her rich father is willing to pay any price for her safe return (within reason). Before long, a martial artist private investigator is in hot pursuit, racking up parking tickets, moving violations, and mangled fenders along the way. Few things are as irritating as mealtime interruptions. Whether it’s phone calls from telemarketers, a hilarious text from a friend, or the sudden onset of food poisoning, these disruptions can turn that Sunday roast into a cold platter of unwanted leftovers. 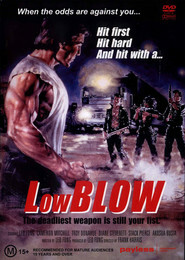 Some of us have a greater threshold for this phenomenon than others, making the good deeds of Leo Fong’s lead character in the 1984 film Low Blow all the more admirable. Fong plays Joe Wong, a down-on-his-luck private investigator hired by a rich square to save his daughter from the clutches of a new age cult. Director Frank Harris illustrates our hero's prowess in the early-going, as Wong awkwardly interrupts a diner robbery by checking on the status of his ham sandwich order. Instead of paying the cashier, he unloads his revolver on the unsuspecting robbers and as it turns out, he was just kidding about the sandwich. Really, Joe? We thought you were serious about the cooks slaving over a ham sandwich as you risked the lives of everyone around you with your itchy trigger finger. His risky behavior isn't just relegated to eateries. Any time he parks his rusty shitbox, he coasts into dividers and concrete barriers without fail. Or lots of fail, depending on whether your minimum requirements for bad driving include slow-moving collisions or necessitate civilian deaths. As evidenced by his Indian bindi, his Jewish Star of David tattoo, and his raging Christ complex, the cult’s leader, Yarakunda (Mitchell) is confused at best, and at worst, drunk. Karma (Busia) is his mostly sober right-hand lady, whose fondness for conniving power plays is matched only by her love of sugary circus peanuts. She runs point on every last detail of the cult's compound, from the brown-bag lunchtime lectures, to the fruitless gardening of its arid fields, to the muscular and heavily-armed security staff, headed by the menacing Guard (Blanks). Not only does this movie feature the worst character name ever bestowed on Mr. Blanks, but also the worst utilization of his talents. More on that later. While the action quotient is high, the fight choreography in Low Blow is below-average, and that’s being generous. Most of the stuntmen sell the strikes decently enough, but the pace of most fights is stilted and the editing and camera angles do nothing to help matters. Leo Fong isn’t the quickest cat in the room, but he holds almost legendary status in the off-screen martial arts world and was 58 years-old when this film was released. For evidence of his better action work, check out Enforcers from Death Row, which includes a lively serrada free-flow drill with Grandmaster Angel Cabales. My guess is that Fong had slowed down considerably by this point and Harris and company made a conscious choice to eschew the technically slick for pure camp in the fight scenes. A group of enemies attempting to escape in a car gets an unexpected tune-up as Fong pops the hood, pulls out an important-looking car part to stall it, and dons safety goggles before a protracted removal of the car roof using a metal saw. He is smiling the entire time because he loves amateur auto maintenance. However bizarre that scene may have been, the crown jewel might be Leo Fong angrily stomping what appears to be a pile of mashed potatoes disguised as a human head. In other words, it resembled Thanksgiving 2006 at the Brezdin household after I discovered that mother used instant mashed potatoes. 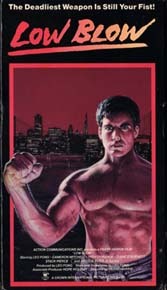 The filmmakers had a golden opportunity to make the most of the film’s top two fighting talents in Fong and Billy Blanks. The Blanks character is built up as the cult’s physical enforcer and the story wisely keeps the two separated physically for the majority of the film before saving their encounter for Joe Wong’s night-time invasion of the cult’s compound. How long might you expect this fight to go? Ten-plus minutes? No dice, this isn’t 1980s Hong Kong. Maybe a healthy five? Optimistic but unlikely. This fight goes for about 35 seconds. Most of the scene is oriented around the Blanks character spitting two variations of “I’m going to kill you,” quiet posturing, and viewing angles positioned behind the fighters. And forget about a grisly death -- Blanks is rendered unconscious by an arm take-down and a jab to the mush. I’m not sure if Frank Harris and Leo Fong meant for us to laugh at all the surreal moments in Low Blow. Yet, I can think of no more appropriate response for vanquished enemies waking up in piles of puppies, protracted auto body metal saw attacks, and Leo Fong driving a car like a drunken senior citizen. On occasion, martial arts flicks strive for a certain tone in between the fight scenes, but end up realizing something completely different. Intentional or not, Low Blow is one of those movies. 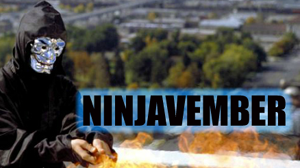 For DVD options, it's included as one of ten movies on Navarre Corporation's Maximum Action set. Also available on VHS through Amazon and EBay. Great review, buddy! Thought Low Blow was Fongtastic...especially the head-stomping bit...very funny.